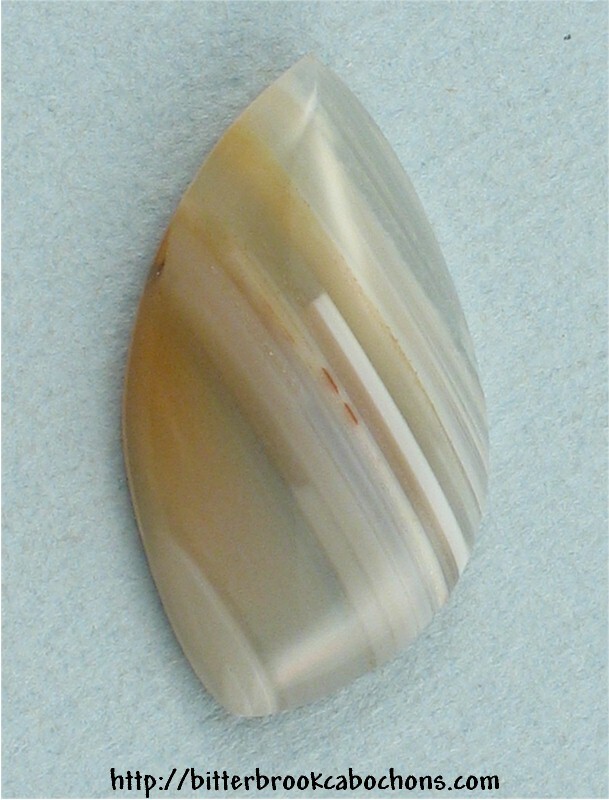 Cute Banded Agate cabochon has many striped layers which are not perpendicular to the plane of the back (you can see through them if you turn the cabochon a bit). There is one wide white stripe that looks like the paint ran out! Dimensions: 32mm x 17.5mm x 6mm. Weight: 22.70 carats.